The actor Yamatoyama Jinzaemon II held the name of Yamatoyama Sensuke I from the 11th lunar month of 1721 to the 10th lunar month of 1722, then a second time from the 11th lunar month of 1723 to the 10th lunar month of 1736. 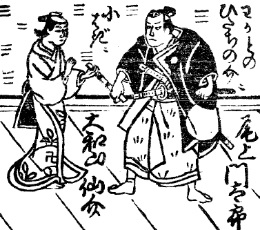 The actor Yamatoyama Rinzaemon II held the name of Yamatoyama Sensuke II from the end of the 1740s (?) to the 10th lunar month of 1771. Dates of birth and death unknown. Previous stage names unknown. 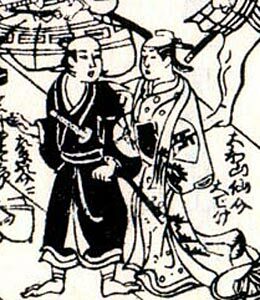 Relationship to the Yamatoyama clan unknown. In two words: unknown actor.